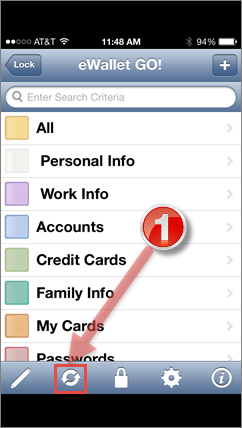 Looking to upgrade from eWallet GO!® to full eWallet® on your iOS device but need to import your data? 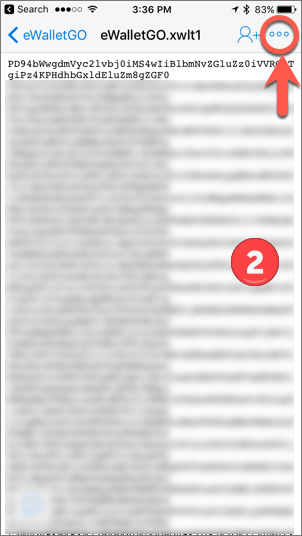 You've found the right article! 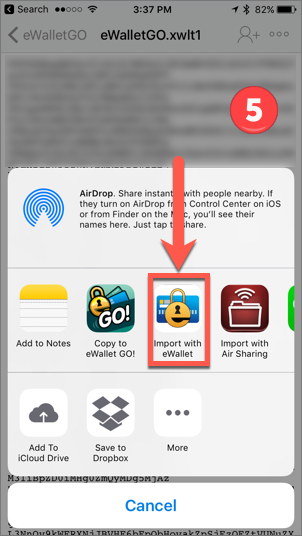 There are a couple of options on iOS to convert your GO data to full eWallet: import the local wallet file or import the file from Dropbox. 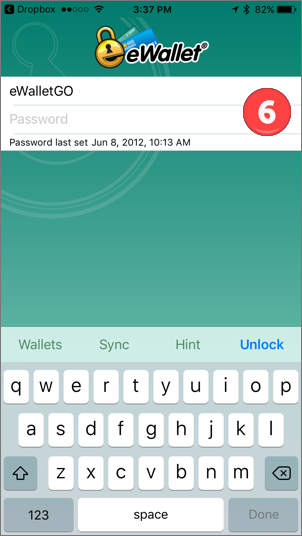 Both methods are covered below. 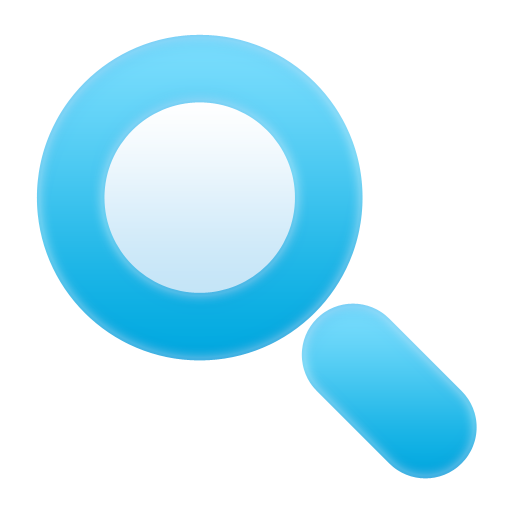 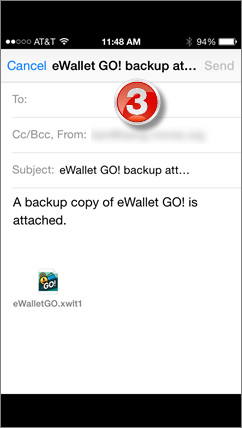 If you've been using "GO" on your PC, and your local GO wallet is up-to-date, then this might be the best option for you. 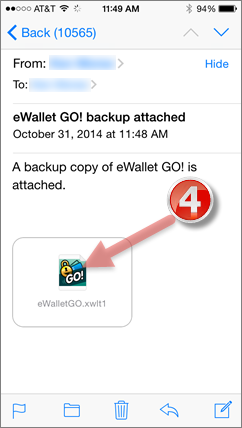 Use the backup feature with eWallet GO! 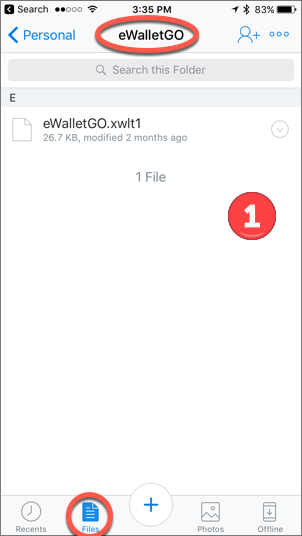 to email the data to yourself, then open that file up in eWallet to complete the import. 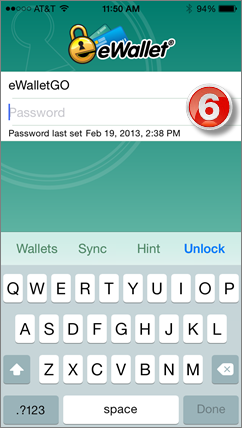 Note: Once the wallet has been imported/converted, you can change its name within eWallet if you like. 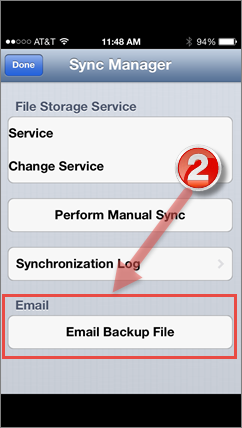 Next, it's time to do the one-time setup of cloud sync. 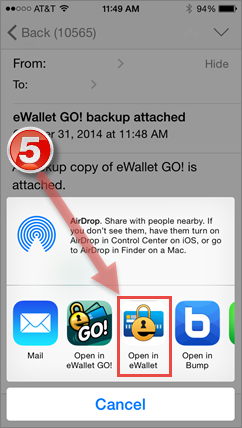 If you have not been using "GO" on your iOS device, or your Dropbox backup file is more up-to-date, then this likely the best option for you. 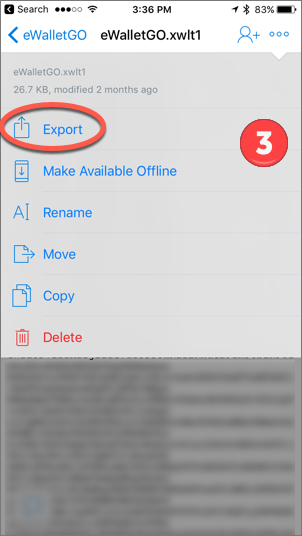 This option uses the Dropbox client available for iOS. 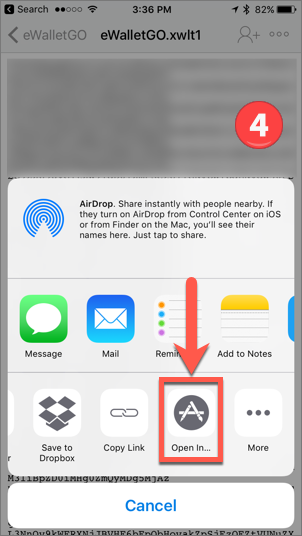 For Step 1, tap on the file name to get to Step 2.